A documentary on the infamous gonzo journalist, Dr. Hunter S. Thompson. A documentary on the life and death of Hunter S. Thompson. Hunter Thompson visits the set of Fear and Loathing in Las Vegas. 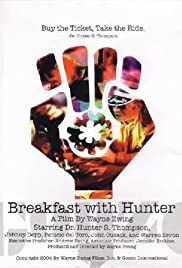 It wasn't until I randomly looked on the message board for this fly-on-the-wall documentary, Breakfast with Hunter, that I found out it was available on an internet video site. For the first time ever I watched something longer than a short (it's 90 minutes in running time), and I couldn't get enough. Hunter S. Thompson is one of those rare cases in literature and journalism where fact meets fiction and does a very weird dosey-do into the deranged and brilliant. As a political-type person says on a panel when Hunter visits the old democratic hopefuls from 68 and 72 at a reunion function regarding the book Fear & Loathing On the Campaign Trail, it was "the most accurate AND the least factual." But then again, when you have someone like the good Doctor leading himself through the story- more than the story leading him (though sometimes that too is the case)- who needs solid, objective facts? Thompson's approach is to say 'f*** it', and take out a few guns with some whiskey and have some fun, while never completely losing his head (seemingly anyway). Wayne Ewing's documentary only offers so much of a glimpse of Thompson, at a crucial point during the 96-97 period where Fear & Loathing in Las Vegas- perhaps the pinnacle of his career, if at least his most well-regarded and notorious masterwork- was having it's 25th anniversary, and amid the celebrations and reverence there was still work to be done, and some trouble on the horizon. Ewing sets up a quasi structure then around two things: the pre-production on the film adaptation of Fear & Loathing, and the DUI charge he got brought against him by a not totally honest police officer (albeit Thompson WAS heavily drunk during the drive, but as he writes about it and is read on stage by John Cusack on the doc, the details behind it are gruesomely funny). Sometimes we get some random adulatory type scenes, of Hunter almost in the midst of all of the praise and celebration in either small rooms filled with joy and alcohol (at least one of those anyway) or on a book tour. But the best moments are seeing him at his most candid, and as his nature, sort of sweetly insane. One of those, which I got a big laugh out of, is when he visits an old friend at Rolling Stone magazine, and while intending just to bring flowers, he doesn't hesitate to bring along the fire extinguisher to bring that to him FIRST and then say "but I brought flowers." Or seeing him, as a distinct favor to Johnny Depp, teaching his bird how to talk (truly uproarious, however in poor quality Ewing shot it). Or seeing him with at the time his quasi-protégé Depp, who basically because a version of Hunter, as was his niche to play Raoul Duke in the film, and even went so far as to talk like him, smoke the same cigarettes, and shoot off the same amazing guns. This doesn't totally we mean we don't see Hunter being soft in appearance to the viewer. 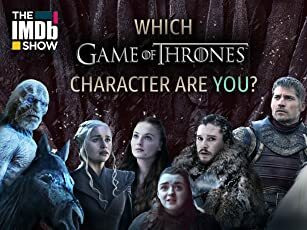 In fact, one can see the flip-side to the good Doctor's coin, where one side reads bizarre affection and camaraderie with his guests and fellow colleagues and old friends and the like, and the other shows if he doesn't dig you, he can come close to biting. The latter is shown when Alex Cox- the original writer/director of the Fear & Loathing movie before (rightfully) leaving the project- doesn't get that doing a cartoonish version of the book, complete with Raoul Duke actually riding 'the wave' as written in that great piece about San Francisco is totally wrong. What ends up coming out through seeing that, juxtaposed with hearing various pieces of Hunter's writings and hearing and seeing various stories of his form of Gonzo journalism (not to mention his near-win at becoming Sheriff in 1970 in Aspen, shaved head included, as part of the 'Freak Power' ticket), is that Thompson was all about going for craziness and over-the-top ways, but only if it worked for his work. The only one that one can see that can control the world that Thompson has created, both on the page and with the atmosphere of Owl Farm in Aspen, is (or rather was) Thompson himself. Nobody, not the law, or horrid politicians, or misguided filmmakers, can really put a hold on Thompson and his own form of subjective reporting. It's sadder still to see this all after his death, and see how in an ironically quiet way he was really a true force to be reckoned with in American culture, not just with literature. And this documentary, at it's best moments, captures the poetic lunacy of this man, while never getting in the way.